In the initial days, freelancing was looked upon as outsourcing a menial job for which hiring an entire position would not be required. Freelancing has evolved at a great pace since then, thanks to technology. A wider range of skills and knowledge are considered during recruitment. Both the employers and the freelancers are beginning to seriously evaluate how the freelancing medium could benefit them in both the short and long run. A freelancer with the right skills but no college education struggled to be hired in the previous regular employee model. Thanks to freelancing that's no more an issue. It is only getting better with the improved technology of incorporating digital channels into the virtual workspaces and making them increasingly data friendly, thus enhancing the measurement of performance. But freelancing has its own share of challenges. While freelancing provides a flexible work schedule, it fails to provide career progression, lacks training, mentors are absent and the freelancers do not enjoy the community of fellow workers which would be have been possible while working within the company as a full-time employee. To solve the challenges associated with the evolving role of the freelancers, businesses are looking at the different possibilities with the help of data and the Cloud to ensure knowledge sharing, mentoring and data-driven career progression for the freelancers. Thanks to the virtual workspaces, the line between the freelancers and full-time employees are reducing at a faster pace. There are a lot of differences between the freelancers and regular employees but the career progression struggle isn't one among them. While it is much easier to measure the performance of the sales department, the measuring of success for creative ones like writing or management positions is a challenge. The digital monitoring that helps to track metrics about the time taken to complete a job, the communication etc., becomes measurable since the data is collected at various stages and analyzed. At Vulpith, a time tracker is installed on the freelancers’ device so that all project activities can be tracked by the business client. The recognition of an individual's capability and success rate can help them move further on the career ladder irrespective of being a freelancer or a regular employee Usage of digital tools to assess performance also promotes the hiring of freelancers. A lot can be achieved with the collaboration of great minds. Vulpith’s hybrid cloud-based platform offers virtual community which enables the sharing of knowledge and ideas irrespective of the skills, location, gender or race. As a talent expert, Vulpith plays a vital role in training, mentoring and knowledge sharing which had previously posed a challenge to the freelancing/ virtual community. 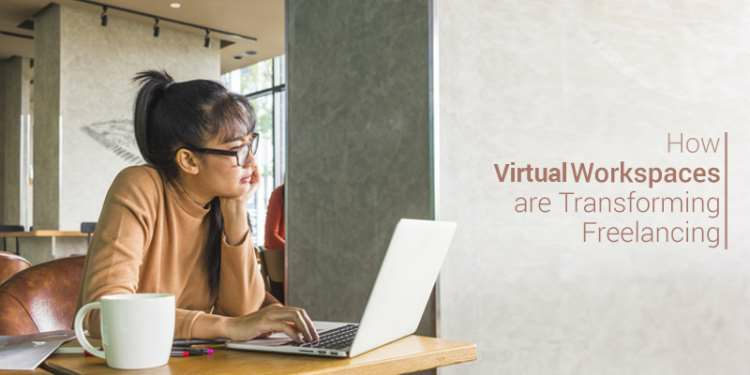 With the increasing capacity of the digital world, the virtual workspaces are transforming the freelancer role and it would not come as a surprise if the physical workspaces become more and more redundant irrespective of the type of employment.